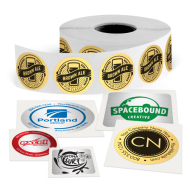 Custom Roll labels come in handy for virtually any business. Labels are one of the most common, yet most powerful marketing tools around. Best of all, they are applicable just about anywhere and for any type of product. 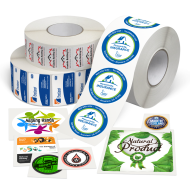 Choose from a variety of label stocks and sizes. Don't see what you are looking for? Give us a call at 800-447-6788. All our products are backed by our 100% Satisfaction Guarantee.